When I arrived at the Practice last night, my hands smelled like Pine Sol because I had been cleaning the floors much of the afternoon, trying to get rid of the stains from the salt we’d tracked into the house all winter. The day was bright and the switch to daylight savings planted in me the need to clean, refocus, and remember that although the ground was still covered in deep snow, winter would indeed end and spring would come again. Darkness would abate, light would prevail. And so it is with Lent, as Father Michael explained. Although Lent is modeled after Jesus’ 40 days of purification and testing in the wilderness, and associated with reflection, repentance, and fasting, “Lent” actually comes from a word that means “spring.” Lent is the season in which we prepare for the celebration of the central event of our faith: Resurrection Sunday (Easter). 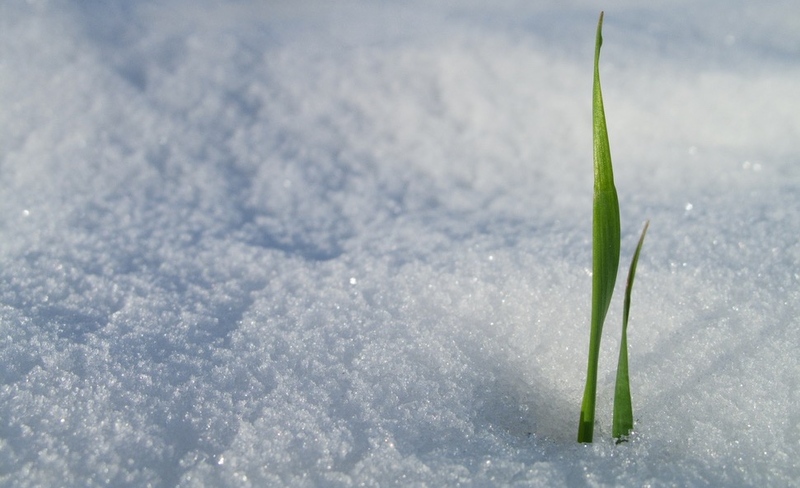 Lent is like spring-cleaning–while the snow still abounds, we prepare for the coming spring. It is a time for us to sweep under the furniture, mop up the traces of salt, and dust away the cobwebs. Invite the Holy Spirit’s guidance. You might do this by taking a few deep breaths, opening your hands, and becoming aware that you are in the presence of God. Review the day in thanksgiving. Starting with thanksgiving centers us and allows us to remember and savor the blessings God has granted by his grace. Review the feelings that surface. Here, we are noticing what feelings come up as we review the day. Joy, anger, lust, sadness. Father Michael suggested specifically focusing on the feeling that you struggle with most to see how you did that day in that particular area. Choose one or two feelings and pray from those. Father Michael suggested paying particular attention to the feeling that is calling to you strongly (nearly jumping up and down to be noticed) and the feeling that begs not to be noticed (the one cowering in the corner). Look forward to tomorrow in hope. Father Michael said this is a time to remember that there is another day coming, so there is reason to have hope. He encouraged us to identify what we learned and then to ask God for whatever grace it is we need to move forward. We invite you, for the remaining 27 days of Lent, to practice this transformative practice. Father Michael encouraged us to make the examen a “holy habit,” not to waste too much time debating where and when and how, but to just go ahead and do it so that it becomes as habitual as brushing your teeth in the morning. I’m jumping in and continuing my spring-cleaning! Would you join me?